(PhysOrg.com) -- The south polar region of the Moon, with dark craters and high ridges, is a world away from the relatively smooth terrain visited by Apollo astronauts four decades ago. This rugged moonscape is the target for Europe's next leap into space. The possible deposits of water ice, heavily cratered terrain and long periods of sunlight make the lunar south pole and areas around it extremely interesting for explorers and scientists. It is therefore a prime target for future human missions to the Moon. Europe is now looking at a lander mission to pave the way for astronauts. This precursor would be the first European Moonlander and the first to visit the south polar region. 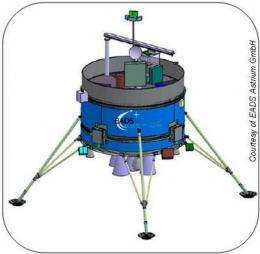 ESA is now asking industry to submit proposals for this Lunar Lander mission. ESA’s Lunar Lander would pave the way for future human exploration on the Moon. There are two core goals. The first requires that it uses the latest navigation technology to fly a precise course from lunar orbit to the surface and touch down safely and accurately. 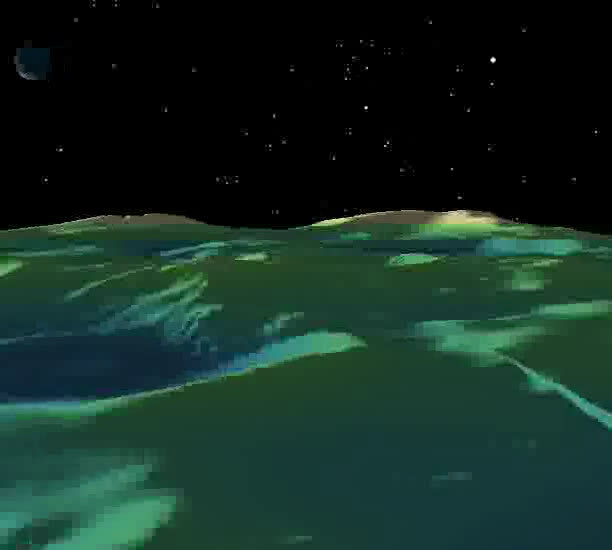 On the way down, it must image the surface and recognise dangerous features by itself, using its own ‘intelligence’. Then the Lander shall investigate this unique region with a suite of instruments. It will investigate the properties and possible health effects of radiation and lunar dust on future astronauts, and it will examine the soil for signs of resources that could be used by human explorers. Several European industrial teams have already assessed the various mission options and designs. The next step is ‘Phase-B1’, which will mature the mission and spacecraft design and examine in detail the demands of landing and working at specific southern sites. 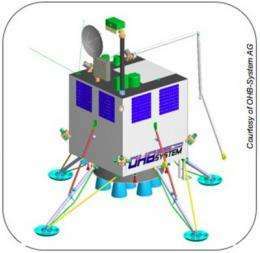 This 18-month phase will begin this summer, taking the Lunar Lander from a design concept to hardware reality. The goal is for launch by the end of this decade. Involving European researchers and industry is crucial for defining the detailed mission objectives and identifying instruments to address them. For instance, a request for information in 2009 produced more than 200 responses. As part of the process of involving European researchers and industry in the project, an information day will be held at ESA’s space research and technology centre (ESTEC) in the Netherlands on 14 April. The day is aimed at those who responded to the 2009 request and will include an update on the mission outline, mission objectives and the model payload to be used for Phase-B1. I see no mention of possible launch vehicles being considered. Would this utilize Ariane 5 or a new launch system?